and resolves conflict in organizations and communities. Open Space Technology (OST) is a powerful approach for engaging people. 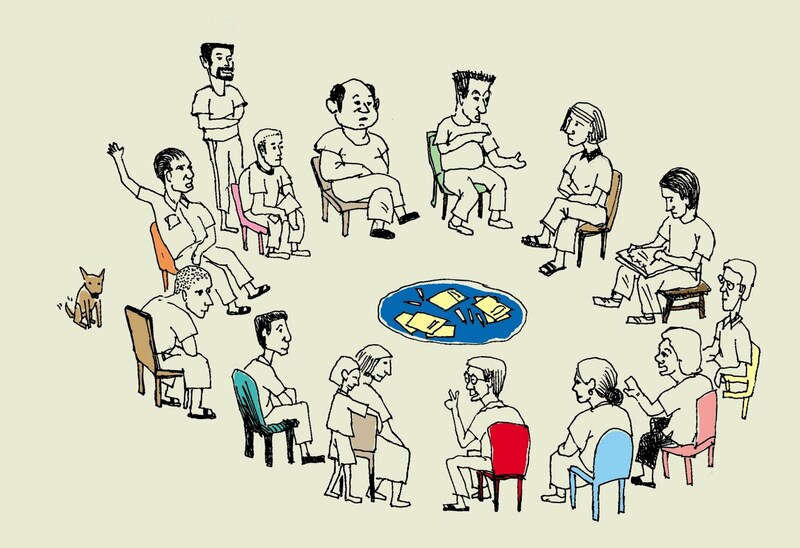 As a method for conducting any kind of meeting, it is used around the world by thousands of organizations, from transnational corporations to government agencies, NGOs and community associations. Innovation is often hampered by control and by structures that inhibit rapid and creative responses at the place where implementation and change happen. OST triggers individual enthusiasm and responsibility. It draws upon people’s inherent creativity to develop real and practical approaches that maximize communication, synergy and productivity. OST can help organizations become flexible and interactive. This two-day Learning Workshop is designed primarily for those who have experienced the benefits of an open space approach to meetings and gatherings, and intend to use it in their own organizations and communities. You will experience a short Open Space Technology event, ground the core principles in your own life, learn when OST is an appropriate method to use, how to work with and prepare sponsors, the role of the facilitator, focusing the working theme, priority setting and action planning. And you will have the opportunity to practice facilitating the opening of space yourself. Participants will leave with a deeper understanding of OST, their own specific plans to apply it, and local colleagues to provide on-going support and encouragement. The days will be full, the spirit high, the learning fast and your applications can be immediate. The workshop will be conducted in Chinese and English. Leaders, managers, facilitators, educators, consultants working with complex issues, requiring the cooperation of diverse stakeholders, where conflict is quite possible if not already present, and where there is an urgent need for effective action. It is also for anyone who is looking for a way to get beyond business as usual, for better and faster results on their most important issues and opportunities. In OST meetings and events, participants create and manage their own agenda of parallel working sessions around a central theme that for them is of real and urgent importance. This might be as visionary as “Beyond the merger - creating the environment and culture for our future”, or as practical as “What can we do to achieve our annual goals in the midst of economic instability?” With groups of 5 or 500 – together for 3 days or in weekly staff meetings – the common result is a powerful connecting of people, sharing what is happening in the organization, and strengthening of trust and a common vision. For further information contact Tsai Shu-Fang, frontiertw@gmail.com or Gail West, icamail@icatw.com. For registration, send the following form by fax or email. TIEN MOU BRANCH, A/C NO. 02120-01361-6, THE INSTITUTE OF CULTURAL AFFAIRS.